For any remodeling or contracting business in the Raleigh area, the review process can be one of the most important steps in the cycle of the business. Reviews keep companies honest, allow the good companies to shine over their competitors, and let customers know what they’re getting and paying. In theses 24/7 days of the Internet and social media, reviews could never be more important for consumers as well — as it allows them to communicate to their community the businesses have been treating them well and contributing a good product to the local Raleigh and Triangle area. Why write a review of NC Home Remodeling? 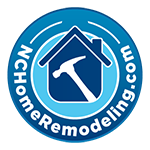 After NC Home Remodeling has provided service to your home or business, writing a review of your experience at your earliest convenience. It not only adds closure to the construction and building project and process, but it allows you to add comments and concerns about the work you received. This allows us to improve our systems and service, but it also allows you to communicate to your neighbors the best contractors and builders with the best reviews in the Raleigh, Durham and Cary areas. Where will your review go? We’re serious about our reviews, and our website publishes most reviews and testimonies on the “testimonies” page of our website. Of course, if you placed your review on an online service, it will also be available there based on the setting you chose when you posted. If you send us a direct message or comment in an email — we can place your comments right on the website! There are several places to review NC Water Heaters directly and around the web. You can use our review link, https://www.grade.us/ncwaterheater/ that will give you the option to post on our website, Facebook and Google(where we have a 4.7/5 rating!). In addition you can also leave a review directly on our Facebook page(NCWaterHeaters.com, LLC), google and directly on our website. NC Home Remodeling Services is a division of NC Water Heaters. Our skilled contractors and builders work at a price that respects your budget. Call us at 919-868-3585. We service the Raleigh, NC and Cary, Durham, Morrisville and Wake County Triangle areas. No Replies to "How to Review NC Home Remodeling"